Thermal transfer labels and/or direct thermal labels are often a necessary part of many barcode labeling systems. But what is a thermal label? And, what’s the difference between the two most common variations? Utilizing a thermal printhead to apply heat to the surface being marked, direct thermal printing uses a heated ribbon to produce an image or text on a wide range of materials. Unfortunately, direct thermal supplies are often fairly sensitive to the environment, and as a result of exposure to light, heat and abrasion, the life of the printed material is limited. Because the images can fade over time, direct thermal printing is not recommended in situations where lifetime identification is required. Direct thermal printers also use chemically treated media that blackens as it passes through the thermal printhead and does not require ink, toner or ribbon. 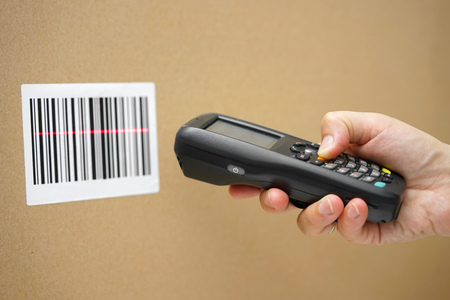 This is often viewed as the easiest and most cost-effective barcode labeling method. Similarly to direct thermal printing, thermal transfer printing also uses a thermal printhead and heated ribbon to produce an image on a variety of surfaces. However, thermal transfer printing is designed produce permanent images. These labels get their long-lasting durability from the addition of a ribbon, which is then melted onto the chosen media to produce the desired image. The ink is then absorbed into the material’s surface to provide a more permanent printing solution. Additionally, thermal transfer printers can be used on a larger variety of materials including paper, polyester, polypropylene and more. Which barcode labeling system is right for you will depend on a number of factors including your business’ unique processes and needs. At Tri-State Business Systems, we are the direct thermal and thermal transfer labels experts, and our courteous and knowledgeable team can help you choose the system that’s right for you. We proudly serve businesses throughout Kingwood, Rosemont, Franklin, Dreahook, Alexandria, Pennington and the surrounding areas, so contact us today for more information.